Another Big Fork in the Road! 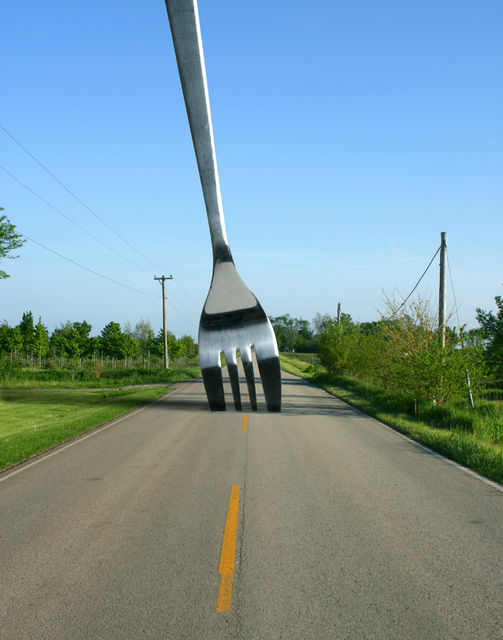 Yup, as some of you have already caught on, we are about to take another big fork in the road! It’s been two years this month since Ken and I decided to follow our dream of extended travel in our motorhome. I had worked for the same company for most of my 32 year career and except for the 6 weeks I stayed home when my sons were born had never not worked full-time. The past two years have been wonderfully refreshing. I realize now just how totally burned out I was after many years of long hours and excessive stress. We have been pleasantly surprised to find out that years of analyzing our financial strategies for retirement have held up and we have actually finished these past two years with more money in the bank than we started. So the idea of making my early retirement permanent appears reasonable in terms of the pocketbook. But, once again, as we face a major decision, it’s not about the money. During these past two year, Ken and I were able to clearly evaluate what worked and what didn’t work for us on how we live our day-to-day lives. While we love being on the road, it also made us even more appreciative of just how much we love our home and being here with our family. While we truly love the wonderful people who’ve welcomed us into the RV lifestyle, full-timing RVing is not who we are at this point in our lives. And, as Ken predicted from the beginning, I do not slow down well, or hang up my career and laptop easily. While we gave me a good two years adjustment time, my need for projects and meaningful work hasn’t waned. Yes, I’ve tried blogging and photography and sewing and cooking and gardening and projects around the house—doesn’t do it for me. And, believe me, the kids really don’t appreciate my making them, their homes, etc., my project—while I need something where I can be worrying over the details, it’s not healthy for anyone if I’m making it their lives! As an option, Ken and I talked about doing either Red Cross on the road or Habitat for Humanity. For us that’s not going to be a good fit either. When Ken is in an environment where things need to get done he can’t find the brake. While Ken’s health has been pretty good on the road, we also know that with more than a few hours exertion, he can be down for the count for several days. Being somewhere where there’s work to be done that he’d be good at and then having to go very slowly not to over due it – that tends to be really maddening for Ken. And, let’s face it, Red Cross or Habitat is in greater need of a piece of my nice paycheck than they are of my remedial skills with a hammer! In recent months, we’ve come to agreement that I really need to find some real work. My most marketable skills, my decade of experience managing SAP software projects, makes my prior employer the only option within 100 miles of our hometown and I’m not interested in going back there. I really didn’t want to go back in to the director level role at a corporation as the work I really loved was when I was hands-on leading projects. So, do I take considerably lower pay working in a non-SAP role to stay in Quincy or do we move? As some of you may know, we looked at the moving option when a really interesting position came up with SeaWorld. They had been spun off from Anheuser-Busch after the InBev purchase and were now working on putting together their own corporate offices and their own SAP implementation in Orlando. Nothing like starting basically a new company that already has 10 parks, 20,000 employees and 60000 animals to manage! My kind of challenge!! And, I really liked the idea of working for a company that was so committed to education and conservation. I really liked the folks I’d be working with too. While I loved the level of fairness and respect you saw for employees with Seaworld, in the end, the tight rules they had to try to maintain that fairness made it impossible for me to take the job. They had a non-negotiable vacation policy which meant that I’d only be getting two weeks vacation for several years to come—no negotiating, everybody treated the same. Considering the amount of time it takes to travel back and forth to Quincy from Orlando, that was a deal-breaker for us. After Seaworld, Ken asked me to take a deep breath and really lay out what it was that would work for us in my ‘phase 2’ career. I’ve continued to follow SAP and the really cool stuff going on in the industry right now—particularly the growth of cloud computing and what that will mean for the future of company business systems—I really missed being part of that discussion on a day-to-day basis. While I wanted to continue working in the SAP arena, I did not want to move away from Quincy right now, and we probably do not want to move away from Illinois longterm. I wanted to work but not if it put a serious hurt on my time with Ken, family and friends. I really didn’t want a job where I spent a lot of time on international travel—despite years of this, I never was able to sleep on planes and that made frequent trips back and forth really brutal on my health. I was also really wary of getting in to a project management job where I’d be leading a team that would be treated like a commodity to be pushed to the max and then discarded. I can’t treat people like that and sleep at night. The culture is a really big deal to me. I like working with manufacturing companies where I can put my production and inventory management to good use. I also like the smaller companies where I can get to know the folks at all levels and really feel a part of their business. Those were my favorite projects in the past. So I had some very definite ideas of what kind of work I wanted and it aligned more closely with working as a consultant than for a particular company. I could jump in to the consulting market on my own, but the idea of doing my own marketing, the overhead of running my own company, trying to come and insider to the latest industry developments and the limited market for project leaders not tied to a consulting team---it all meant added time and risk, doing parts of the job that weren’t my forte. There were a few consulting organizations that I had hired over the years that I’d grown to respect. Ken suggested that I pull out my old contacts and start making some inquiries. At the top of my list, considering the type of work I was looking for was itelligence. Itelligence is a consulting company originating in Germany and specializing in the SAP software (which also originated in Germany!) Their specialty has been in developing streamlined implementations for small to medium businesses, especially in manufacturing and distribution companies. They not only implement ‘big’ SAP R3 but also sell and implement the streamlined SAP All in One product, the small company SAP Business One product and the really intriguing SAP ByDesign SaaS product which is run fully over the internet for companies that simply want to buy subscriptions to the software and not have to deal with having the people or hardware on site to support it. I had worked with people from itelligence both in Europe and the US. I always liked what I saw in the caliber of people that itelligence recruited and their lockstep partnership with SAP. In fact, two SAP employees I’d worked with back in the 1990’s and had a lot of respect for were now CEO and Exec Operations VP at itelligence USA. So I decided to send them an inquiry, explaining my desire to jump back in to the SAP arena. I had a response within hours. The next week I was on the phone or in St. Louis talking to 6 different people and received an official offer on Thursday. I’m really excited about this opportunity, and looking forward to working with the kind of people I see in this organization. Although we talked about a lot of options of where I might focus in the future, especially with my interest in discrete manufacturing solutions, coaching teams, developing methodologies and the whole SaaS trend, my job going in is as SAP Project Manager where I can get my feet on the ground, learn their implementation methodology and see some projects beginning to end. I’ll be headed out to Cincinnati on Monday to begin learning their project management processes and go through a full company orientation the next week. Does this mean we’ll be ‘coming off the road’. Not really. Itelligence does not require that I relocate to a specific office. While I’m currently officially working out of Quincy, they really don’t care where we live so long as I can get from there to my assignment without excessive time or cost. For example, Ken and I could have just as easily taken the RV over to Cincinnati for the next weeks instead of me travel back and forth to Quincy. In fact, in most cases, the cost to the company for us to travel via RV, mileage allowance and RV park fees, is actually less than my flights, rental car and hotel. 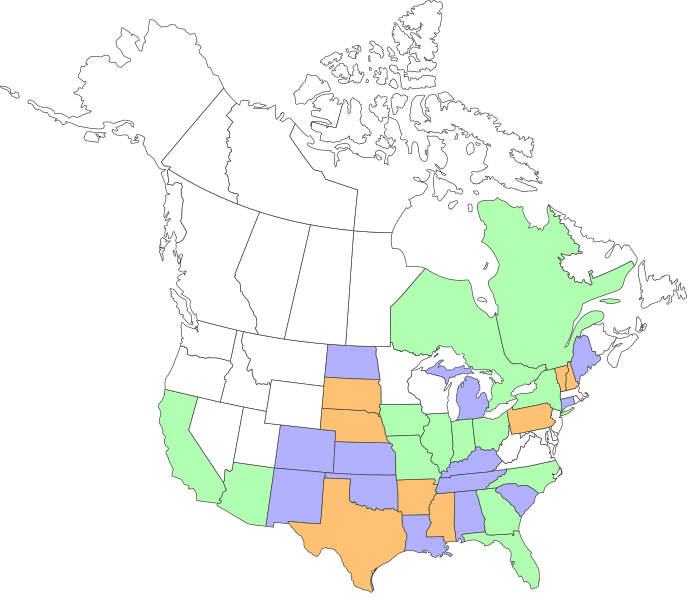 Project management assignments will generally run in the 4-6 month range and could be just about anywhere in the US. I travel to the site Monday morning and travel back Thursday night. So for example, if I’m doing a project in Dallas (which is one of the first possibilities, I can fly in and out of Springfield, IL or St. Louis and still be sleeping at home in my own bed 4 nights a week. Of course, it is also quite possible that Ken and I could choose to move the motorhome to Dallas (especially in winter! ), or any other project site, for several weeks to months and just fly back to see the kids periodically. If Ken wants to sit the motorhome up in Chicago with the kids for a few weeks, I’ll just fly in and out of Chicago to my assignment and still have long weekends with the kids. The other nice thing about the motorhome is that with the full access to the internet we have via PDAnet and our booster, I can be working while Ken is driving from location to location. Being of good German roots and interest in work/life balance, besides 10 holidays, itelligence offers 4 weeks vacation from the beginning, with 5 weeks after 3 years. This means we should still be able to get in some nice road trips between projects. Is it easy work? Heck no! Unless you’ve been through a complete replacement of the computer system at a company, it’s really hard to appreciate all the planning, details, testing and contingencies. For the time you are implementing, that company becomes your company, and your job is to make them better with a whole new way of doing things, while not disrupting the business. Sometimes that means 20 hour days, sometimes that means going toe-to-toe with some folks that don’t want to hear what you have to say, sometimes that means wiping the tears and listening when someone is seeing the whole way they’ve done their job for years change. It’s challenging and exciting and stressful and intense. And, I miss it and am thrilled to have found a way where we can make it work in our lifestyle. This means we won’t be making the Gillette Escapade , but I’m looking to try to keep Camping with Lisa on our annual schedule. And, Ken has agree to take over the blog writing now.